We specialize in Cooper Tires. Cooper Tire & Rubber Company is an American-owned manufacturer with numerous sales, distribution, and technical facilities located around the world. By simply entering the year and make of your vehicle, Cooper's Tire Selector will tell you what size and type of tires are available for your vehicle. 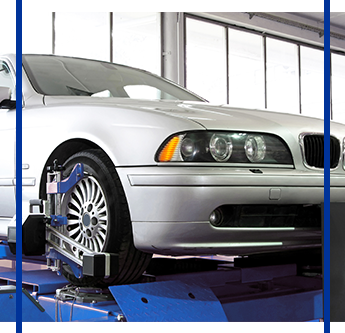 To better serve our customers, we use a state-of-the-art alignment machine that uses digital imaging technology. Our machine was designed and built in the United States by Hunter Engineering Company®, the leading worldwide provider of undercar service equipment.